Fresh Start Carpet Cleaning Company specializes in pet odor removal from your carpets and furniture. We get to the source of the odor by locating the contaminated area arising from cat,dog or human urine and feces and treating it. In some cases your situation might require more of an in depth treatment which may include pad removal and sub-floor sealing. We use professional drying fans if needed, some cases are just as simple as spraying a urine control product. You can rest assured that we will do our best to remove the odors in your rugs, wood floors and upholstery with the best techniques and Green carpet cleaning products that are available on the market. To schedule an appointment click: free estimate or call us at (609) 505-1624 and we’ll be happy to speak with you about any issue. 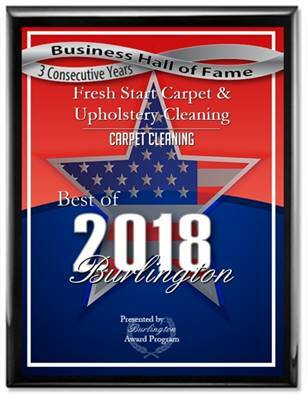 Fresh Start Carpet Cleaning is your best source for a residential carpet cleaner in Burlington, NJ.